We take pleasure in introducing ourselves as leading firm by offering Coffee Tea Mug. Mugs are used for Corporate Gifting and it has a nice finish with good look. This is Steel coffee-tea Mug. Useful at home, Office, Indoor & Outdoor Etc. 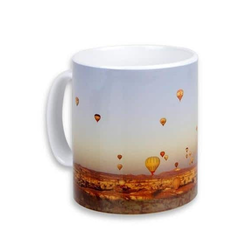 Matching up with the ever increasing requirements of the customers, our company is engaged in providing Printed Tea Mug. Keeping the diverse requirements of customers in mind, we are instrumental in providing Promotional Tea Mug. We have carved a niche amongst the most trusted names in this business, engaged in offering a comprehensive range of White Lens Mug.